The full planning package is for those brides that want guidance from start to finish, and it covers all of the details that go into making your wedding day unforgettable. Proposal sent – We will generate a custom quote for your wedding along with a detailed explanation covering all services. 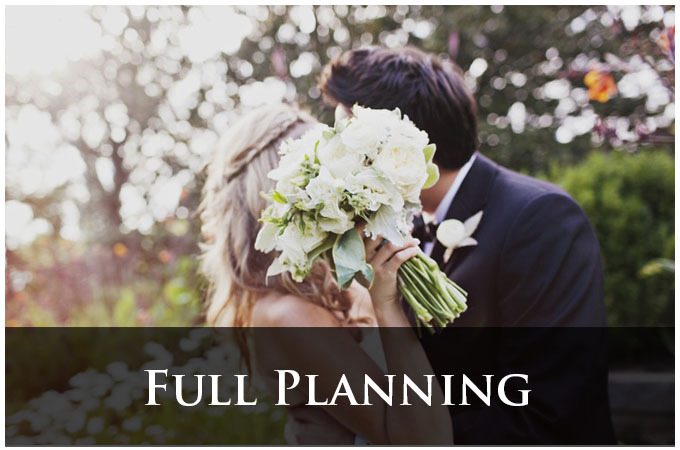 In-office meeting – Go over the proposal together and make sure everything is perfect for your wedding event. Start building an initial timeline of everything we can help with including deadlines. Design concept of layout, décor, color schemes, dessert tables, etc. Please Note: We schedule appointments and accompany our clients up to three meetings per vendor category. We also provide timeline of your event to all vendors and confirm with them their delivery items, times and any additional information with enough time in advance before your wedding. The chief event planner at Bitton Events becomes the main point of contact for the vendors and attends the final walk through meeting at the selected venue. We organize a wedding rehearsal and a wedding day itinerary for better performance of your event. At the rehearsal, the event planner will collect all the items to be set up on wedding day. Assistance with handing out wedding flowers, pinning corsages and boutonnieres, etc. Handle any problems that may occur during the wedding and most importantly, provide you and your family with a stress free, unforgettable day.